After an initial consultation, our design engineers will take your ideas and specifications and develop a CAD design that meets your product brief and delivers on performance. Using the latest design tools we can assist and advise you on development of new concepts, plastic component design, prototyping and manufacture of blow and injection moulded products. 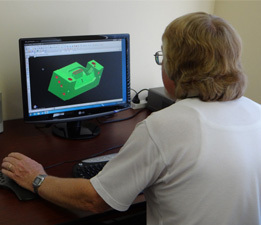 Prototypes provide you the opportunity to evaluate the form, fit and function of your component before beginning final production, so you can avoid any costly design or production errors. Good quality plastic components start with outstanding injection moulds. Our experienced, well-equipped tool room and highly skilled toolmakers manufacture high quality precision tools. Using the latest design tools, our highly qualified designers are equipped and dedicated to bringing you the most cost effective and accurate response to your brief. Established in 1989 to service the blow moulding and injection moulding requirements for Plasmo Pty Ltd, our design and toolmaking division has expanded to service a customer base which has grown to cover Australia and overseas. In over 20 years in this business, we have built up a team of highly skilled and dedicated staff. The continual updating of equipment and software technologies, complimented by our plastics and polymer expertise, means we can pride ourselves not only on the highest quality end products but also on being able to provide exacting tolerance and sophisticated tooling and our other specialised services. The word 'toy' comes from an old English word meaning 'tool'. the LEGO injection mould factories.